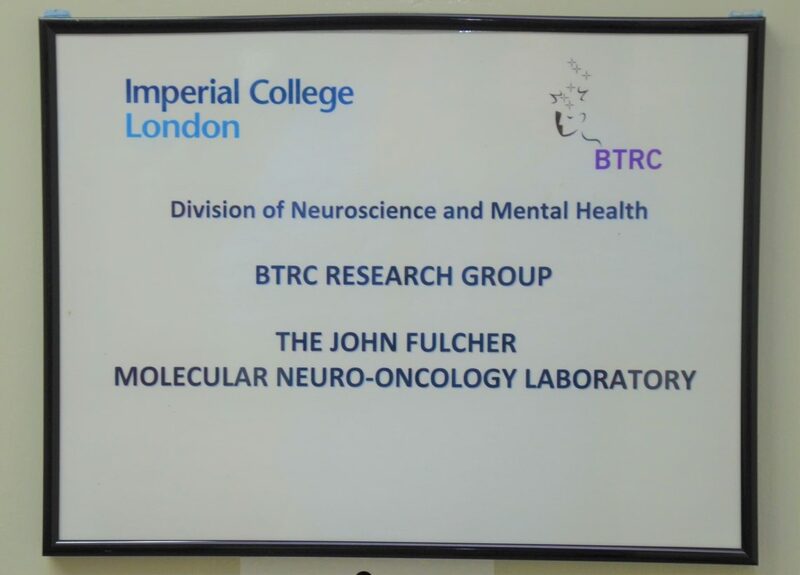 Lay summary: The John Fulcher Laboratory has become the cornerstone of our research strategy. The first phase of our funding enabled the appointment of a senior post-doctoral scientist and research technician to set up the molecular neuro-oncology laboratory. The purchase of key pieces of equipment including sterile cabinet, 37oC incubator, microscope, PCR machine and associated relevant consumables allowed for the culture of primary brain tumour cell lines from fresh tumour material. Culturing of these live cells, which closely resemble the tumours from which they were derived from in the brain was the start our laboratory based research programme.